An IRA account is designed to help you save assets toward retirement. The account provides a tax break by deferring taxes on money in the account until you take a distribution. If a distribution is taken from the IRA and returned to the same IRA or a rollover IRA within 60 calendar days, this is considered an indirect rollover. If recorded properly, it may be a tax-free transaction. The Internal Revenue Service provides guidelines for properly recording the transaction. Obtain Form 1099-R from your IRA custodian that reflects the amount distributed from your IRA. For those under the age of 59 1/2, the amount of the distribution will be reduced by 20 percent in federal withholding taxes. Form 1099-R is sent out at the end of January by the IRA custodian. Obtain Form 5498 from the IRA custodian where you had the distribution redeposited. The form will show the amount of the deposit and within what time frame it was made. Form 5498 is also sent at the end of January by the IRA custodian. Compare the distributed amount on Form 1099-R and compare it to the deposited amount on Form 5498. The "gross distribution" in Box 1 of Form 1099-R should be the same as the "rollover contribution" in Box 2 on Form 5498. 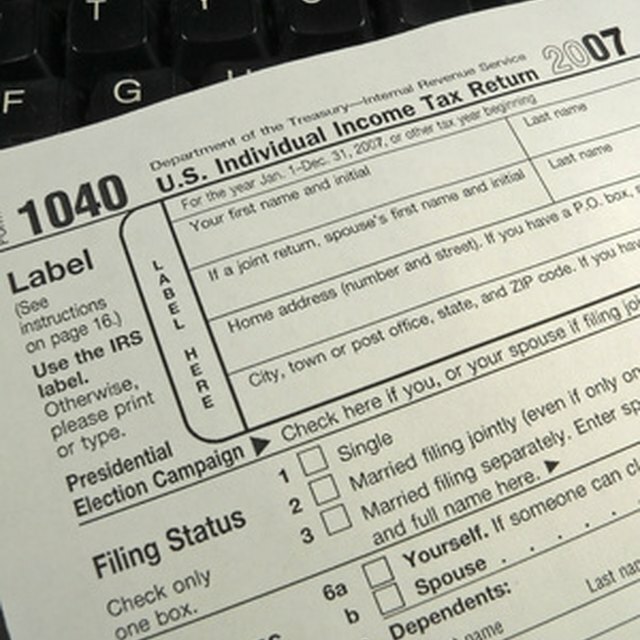 Record the rollover amount on line 15a of IRS Form 1040 or line 11a of Form 1040A. If 100 percent was redeposited, write "rollover exemption" on line 15b of Form 1040 or line 11b of Form 1040A. If you did not contribute 100 percent of the amount distributed from your IRA (including the amount withheld for taxes), the "gross distribution" and "rollover contribution" amounts won't match, and the difference will be taxable. Consult a tax adviser regarding any tax implications that could result from not complying with the 60-day rollover rule.